Big data and predictive analytics are the talk of the real estate technology world, but many agents and brokers still aren’t sure how predictive analytics work. In short, predictive analytics analyzes massive sets of “big data” and illuminates patterns and behavior that may not be visible to the naked eye. The most infamous example of predictive analytics came a few years ago when Target successfully predicted (and marketed) to a pregnant teenager. Just as expectant mothers may buy unscented lotion or calcium supplements, homeowners exhibit “selling signals” as they get ready to list. These signals fluctuate from market to market, and even block to block. Without the help of an algorithm designed to identify them, they may go unnoticed. 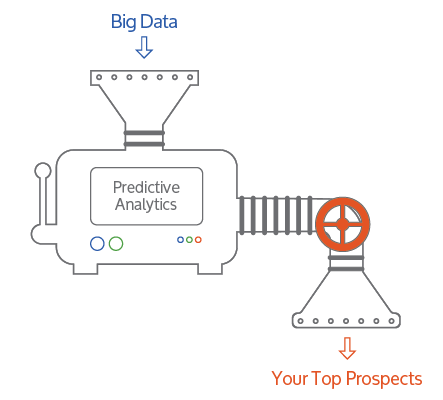 Here’s how the process of identifying sellers via predictive analytics goes down. First, a predictive analytics engine churns through massive sets of data -- think of all the files in your county records office, digitized -- to determine the selling triggers of a local area over time. The engine “predicts” past turnover, then checks its work against actual sales and listings to ensure it is picking up on the right local selling signals. Once the engine has reached a high level of accuracy on its back-tested predictions, it analyzes future turnover in the same area -- taking into account micro-changes in the market. The final product is a ranked list of homes most likely to sell and deep insights on these homes and their homeowners. What’s the opportunity for agents? In the real estate industry, FSBOs and expired listings are often called “low-hanging fruit.” It couldn’t be clearer that these homeowners intend to sell their home. But as FSBOs dry up across the country and low inventory makes expireds less common, agents are desperate to find new ways to locate potential listings. That’s where predictive analytics comes in. Rather than farming an entire neighborhood or ZIP code, you can narrow your focus to the homeowners most likely to sell in your area. This means you can optimize your time and money without worrying about missing a local listing. And you may never have to call on another expired listing again. Here are three types of listings you can win using the power of predictive analytics. The first segment of potential seller targets is also the biggest: move up and move down sellers. When your predictive analytics technology identifies likely sellers in your area, the majority of them will be move up or move down sellers. Once analyzed, these homeowners will show signs that they are outgrowing their house or that their house is too big (or too expensive) for their needs. By setting up a quick label or group for them within your marketing software, you can be sure that you target them with messaging and campaigns that match their current situation. 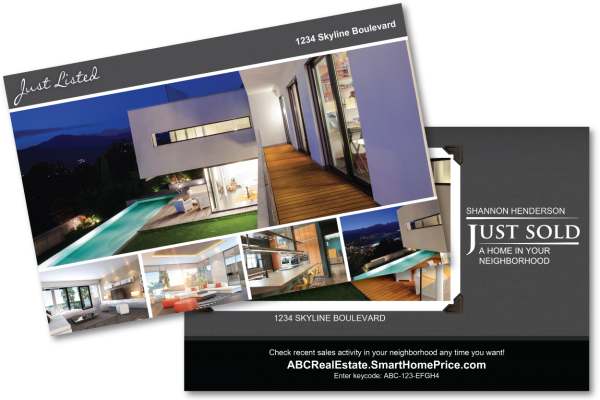 Instead of sending, “It’s a great time to sell!” postcards, you could segment your move down targets and send them a Downsizing Checklist that covers all the tasks they should complete before listing. Alternatively, you could send move up sellers a list of the most family-friendly ZIP codes nearby, based on school ratings, parks, trails and more. The NAR says that most sellers will move within 14 miles of their current residence, so it’s likely that you would identify some of the towns on their radar -- and perhaps get their business as a buyer, too. In short, predictive analytics empowers you to identify a homeowner’s pain point or reason for selling, and market to them in a way that feels natural and insightful. When your marketing starts the conversation for you, you can quickly make the leap to show the value you provide your clients once they list with you. When a homeowner moves away and rents their house out -- or leaves it vacant -- it can be almost impossible to get in touch with them or gauge their selling intent. And as rental rates continue to spike across the country, speaking with the renters to glean intelligence will certainly not get you anywhere. With a targeted predictive analytics technology backing you, you can be sure that your mailers and advertising target the (likely-to-sell) absentee homeowner at their primary residence and not the one they left behind. As the predictive analytics engine churns through its massive sets of data, it also assesses the most likely permanent address of the homeowner. The result? As agents using traditional farming methods will be stuck sending mailers to the renters or property caretakers (and therefore, to the trash), your marketing will stand out because it may be the only campaign the absentee homeowner receives about their rental or vacant property. When you’re the only one starting the conversation, interested sellers are likely to reach you to discuss listing their home. If you’ve ever tried to become the agent of record within a condo complex, you know the task comes with a lot of headaches. The homeowner’s association may already have an agent they prefer to send referrals, or you may have a hard time determining the apartment numbers of the residents (making it impossible to send targeted mailers). As with absentee homeowners, the right predictive analytics tool can identify likely sellers, and refine public records information to ensure all contacts are matched to the correct address. While it may seem simple, many agents spend hours trying to match their condo contacts to either the “South” or “North” tower of a complex, only to see their postcards and letters get returned back to them. We’ve found that the key to dominating a condo is getting that first listing. Once your predictions are in place and your marketing is sent, you can begin following up with those who respond to your marketing by offering a custom CMA, local market information and condo selling tips that will help them earn higher bids. After you secure one listing in a condo complex, you can send “Just Listed” or “Just Sold” cards to your other seller targets in the building, offering the same stellar service you provided their neighbor. Those who live in condos and apartment complexes usually know how much their neighbors sell for. It’s the nature of living in close quarters. By advertising that you got multiple bids or sold for more than the average in the building, you should begin hearing from other sellers immediately.